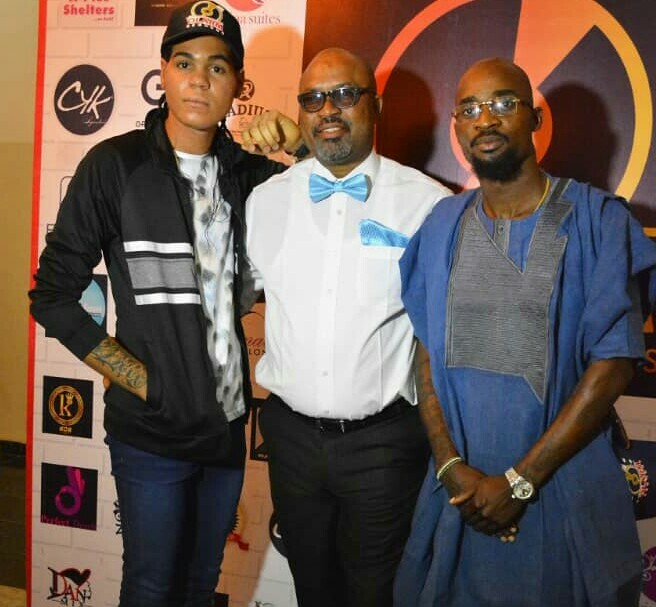 It was a gathering of creme de la creme of people from the entertainment industry ‎at the Regina suites in Osogbo as OLARM records launched its label with the signing of a new artists, Alex Conor. Unveiling the new record label worth N5million, the Chief Executive Officer, OLARM Records, Mr Oseni Olasunkanmi Olanrewaju said the move was to stimulate the industry by encouraging upcoming artistes for greater productivity. Special Assistant to the Governor of Osun on Media, Mr. Bubbler Kunle Alabi‎ (middle); Chief Executive Officer of OLARM Records, Mr. Oseni Olasunkanmi Olanrewaju (right) and the newly signed Greek hip-hop rapper, Alex Conor, during the presentation and unveiling of OLARM records and signing of artiste at Regina Suite and Resorts, Osogbo, Osun State. Asked on why the reason for the investment in Osun, OLARM boss said the action was deliberately taken to turn Osun to a hub of entertainment and music in the country. According to him, “This is an epochal event where we are unveiling a record label together with the signing of a new artist to stimulate and ginger the music industry. “Our vision is to build a highly successful record label organization that is internationally respected throughout the music industry and to help established and upcoming artistes to become mega-superstars. 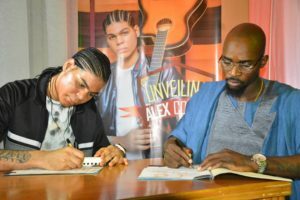 New signing of OLARM Records, Alex Conor (left) and the Chief Executive Officer of OLARM Records, Mr. Oseni Olasunkanmi Olanrewaju during the signing ceremony of Alex to OLARM records at Regina Suite and Resorts, Osogbo, Osun State. “As a record label we are working assiduously to build a business that will help our clients achieve their highest dreams within the shortest time possible and be listed among the best record label companies in the world. “What we are doing today is to revolutionize, reshape and redefine music industry‎ by bringing new talents into the sector since our nation is vast in talents. “As you can see, we have signed a new artiste, he is not an ordinary rapper but a young-talented individual from Greece. “This shows that our organization is doing everything possible to standout in the music industry and we are on course to achieve all our objectives. “We have the resources to pursue this projects though it is going to cost an estimated sum of N5million but we are not deterred in anyway to bring this lofty initiative to fruition”, he assured. 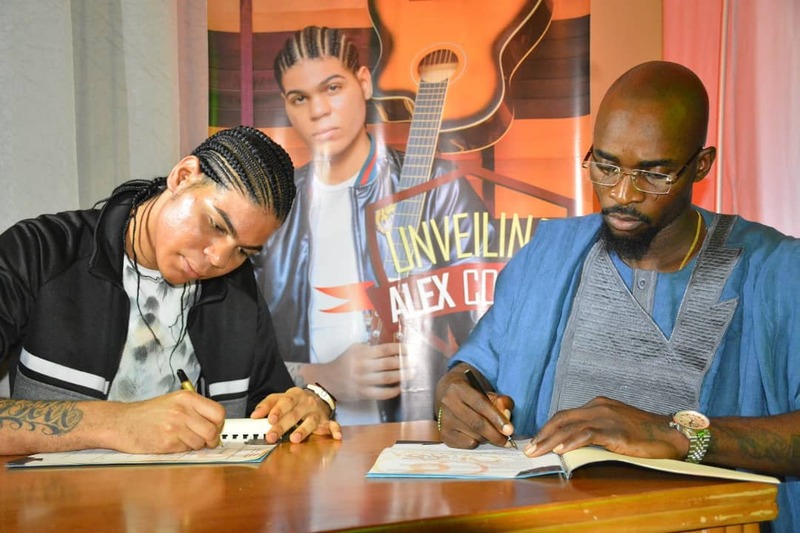 The newly contracted hip-hop artiste, Mr Alex Conor ‎commended OLARM Records for raising the bar of music and entertainment industry in the country. He assured to deliver on every detail of agreement reached with the organisation, saying the album when it is finally released will shake world. Conor, a Greek citizen said his 5years musical experience has been employed to ensure total actualisation of the objectives set for the project.